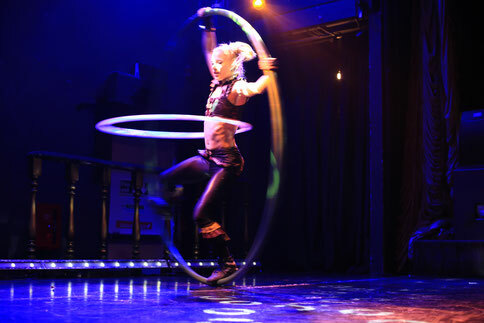 The largest hoop in Satya’s collection is an apparatus called a Cyr Wheel. 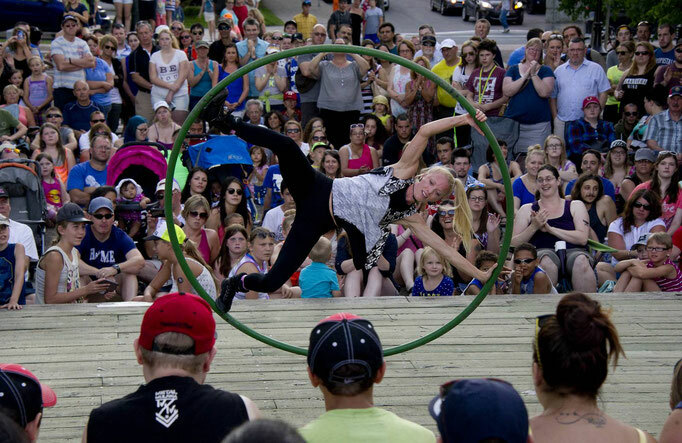 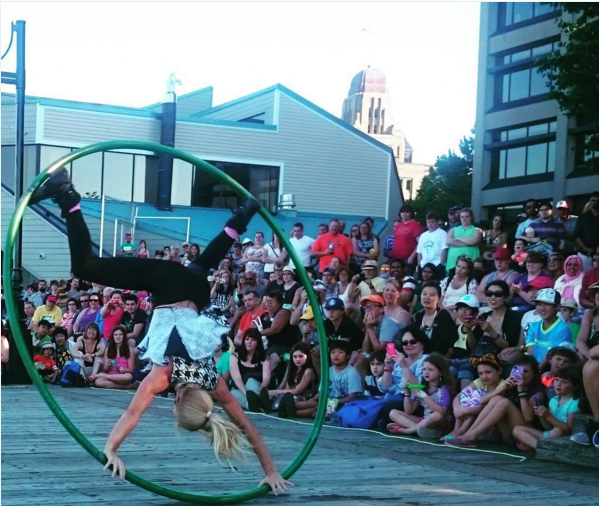 Satya began training Cyr wheel whilst teaching at E’cole De Cirque De Quebec. 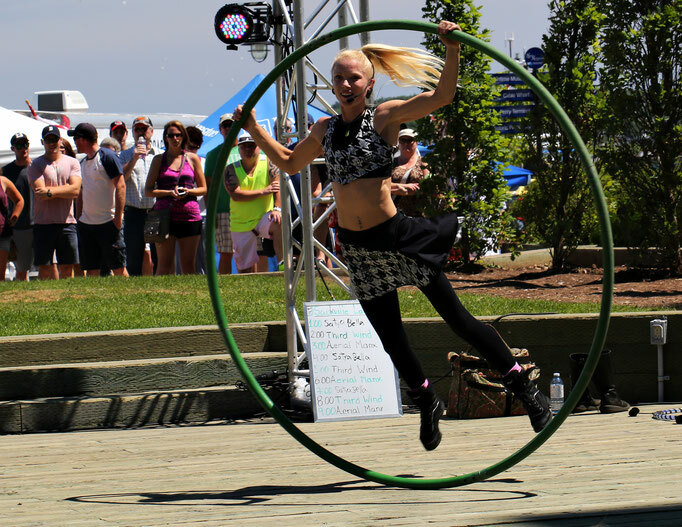 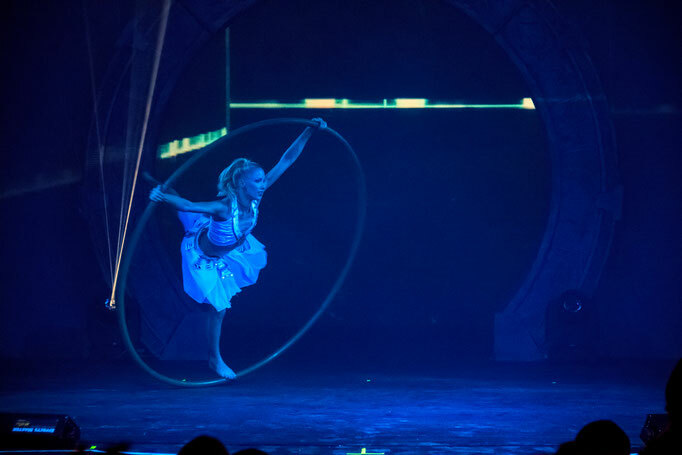 She spins gracefully inside the wheel performing a variety of acrobatic movements. A mesmerising and hypnotic performance. 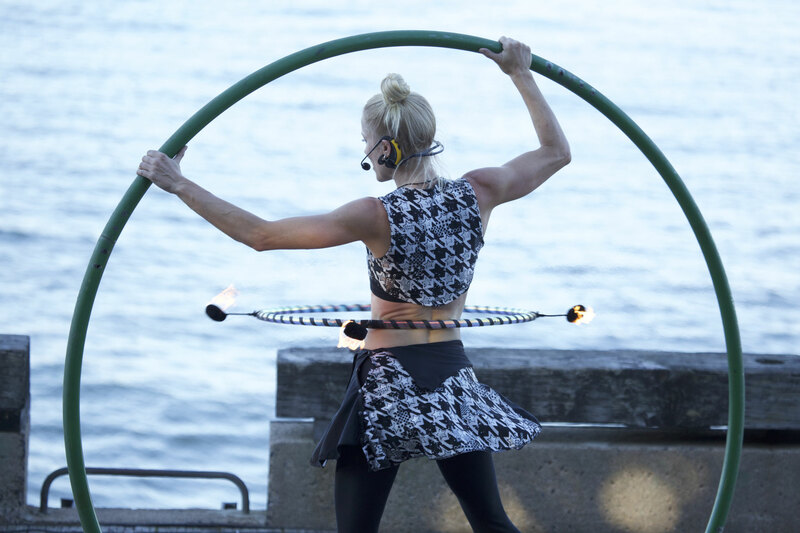 Satya can even hula hoop whilst spinning inside of the wheel, and she is the only person in the world who performs fire hoop whilst simultaneously spinning within a cyr wheel!